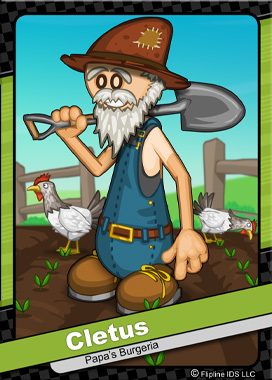 Cletus lives on a 10-acre farm close to the border of Toastwood and Tacodale. He lives a simple life tending his farm and raising chickens. Cletus loves auctions and estate sales, and even he admits to being a bit of a hoarder. Most of the junk that he collects ends up rusting out in his yard. To pay the bills, he opened up Cletus’ Scrapyard, where pickers arrive looking for car parts and rusty treasure.